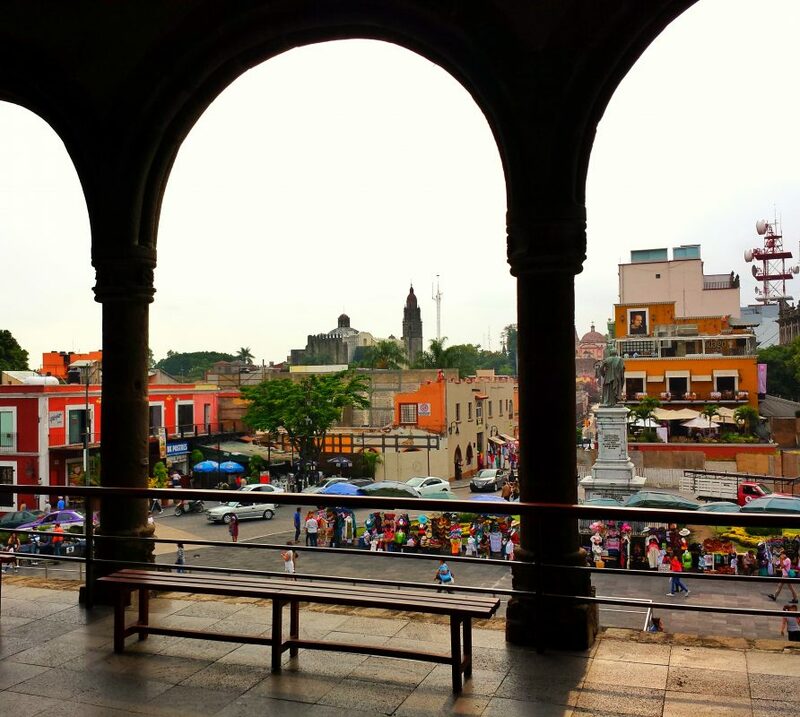 View to the main plaza of Cuernavaca through silhouetted arches of the main balcony of the Palace of Cortes, now the Huatempec Museum. 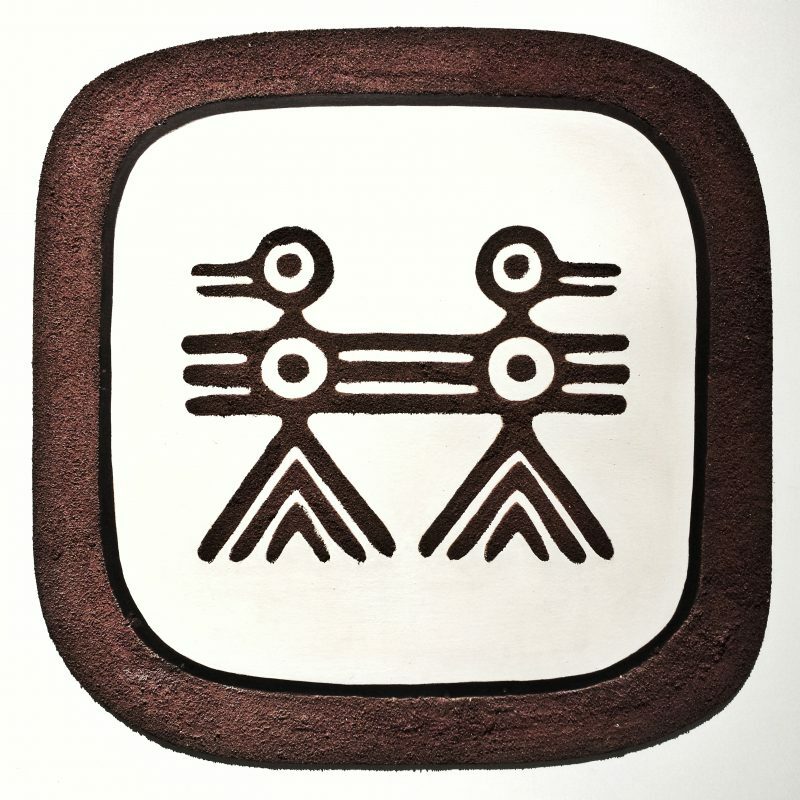 Detail of contemporary painting of Mayan pictogram showing two linked birds. Mayan double happiness? 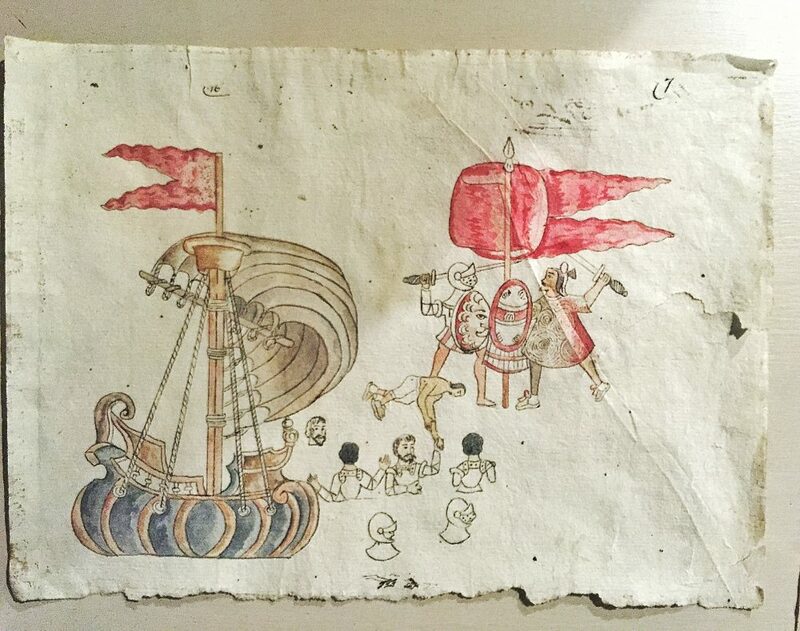 Spanish invasion drawing of a ship with full sails and a meeting of cultures. 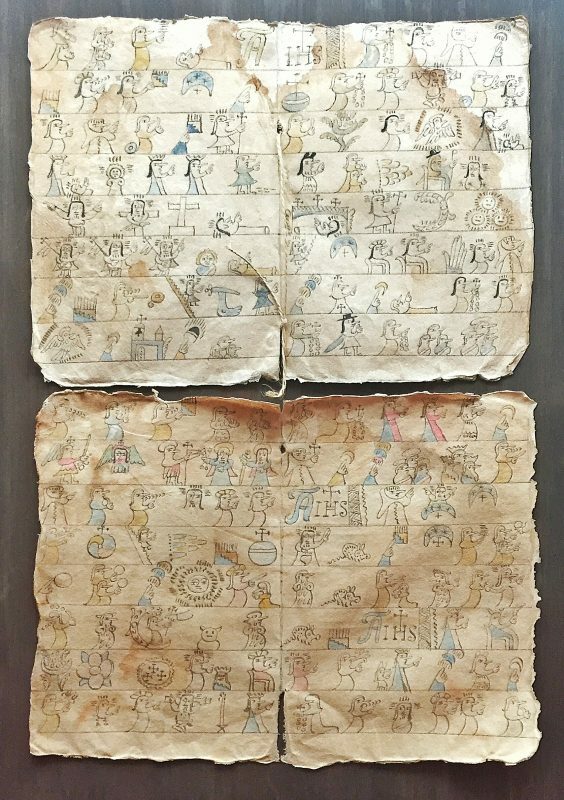 Spanish invasion drawing of passages from the Bible translated into pictograms. Click on the image to see a larger scale image with more detail. 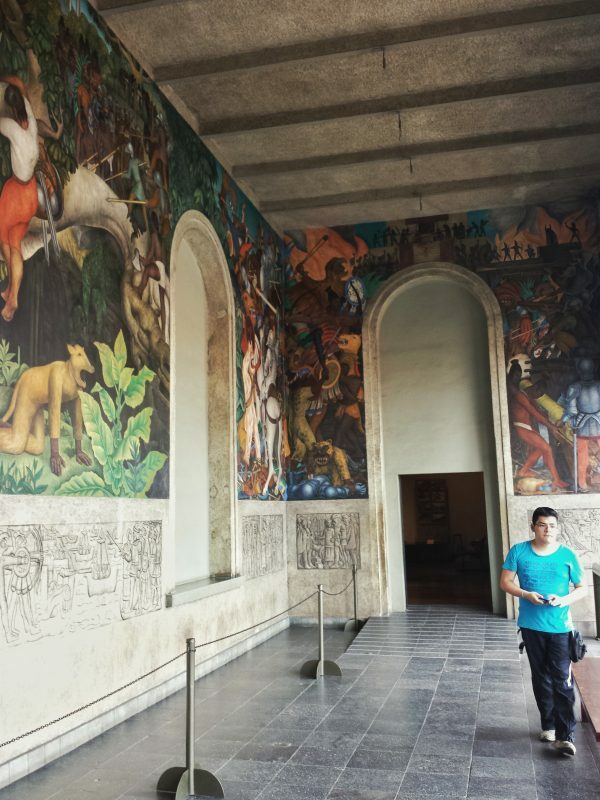 Overall view of the hall with murals by Diego Rivera. 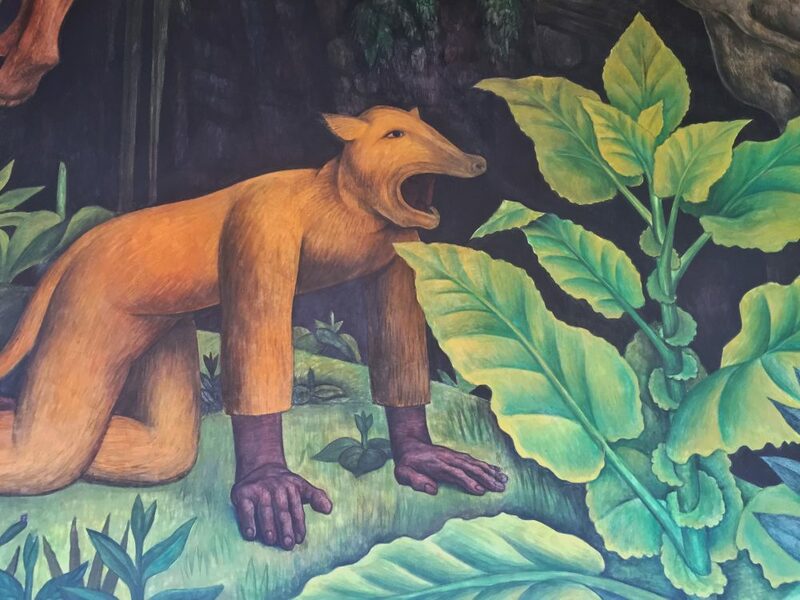 Detail of one of the murals showing one of the warriors dressed in an animal costume. 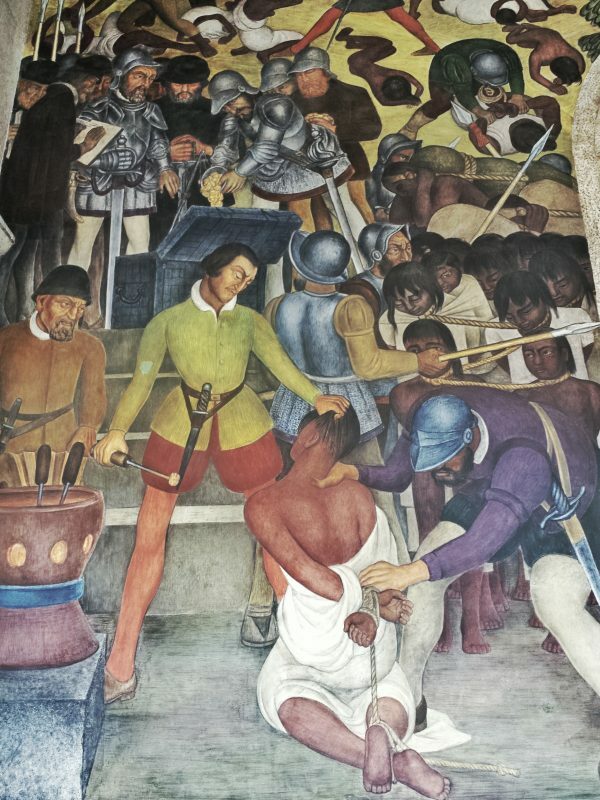 View of one of the panels, with full color murals above and black pigment trompe l’oil paintings meant to look like bas relief carvings below. 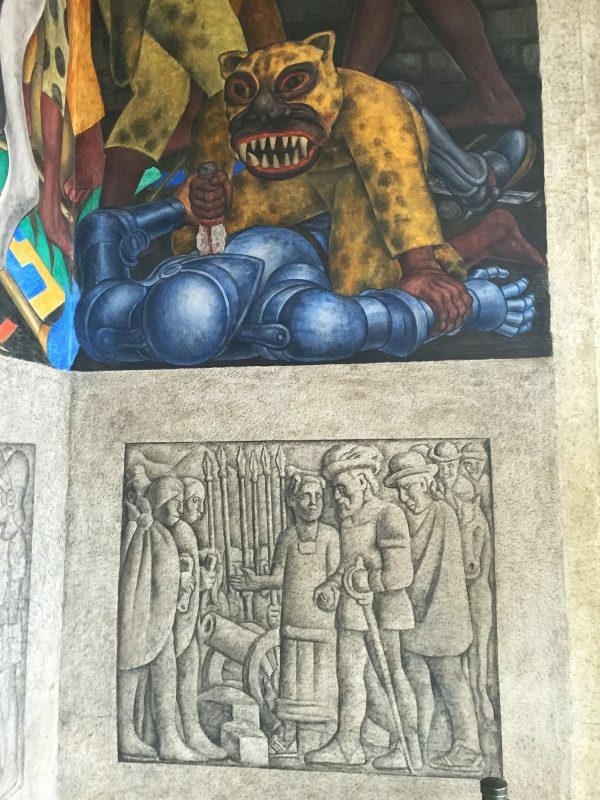 Detail of one of the murals showing a Spanish knight in armour being stabbed by an Astec in a jaguar costume. 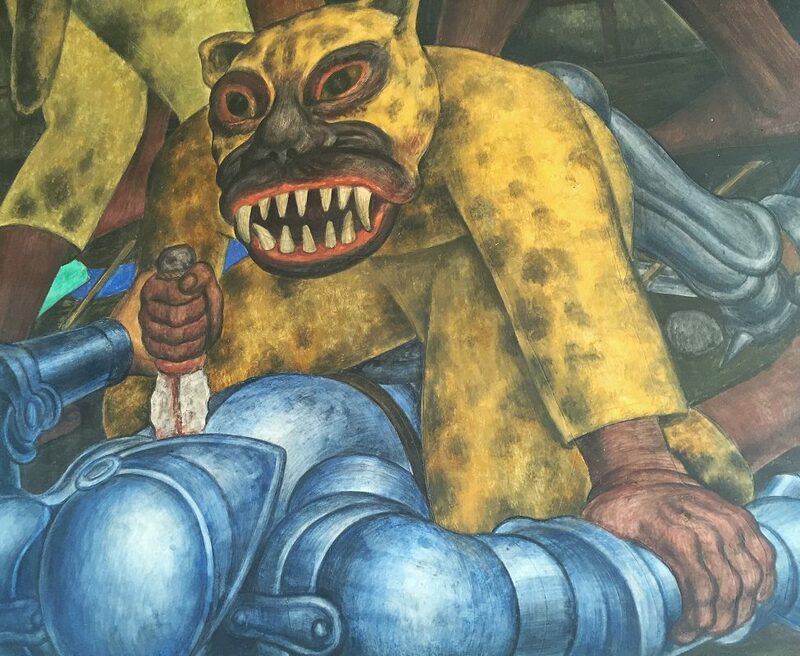 Diego Rivera murals in the Palace of Cortes, detail of one of the countless slaughters.